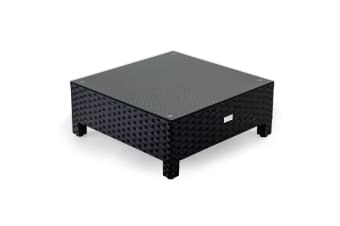 The London Rattan Coffee Table is a stylish yet affordable piece of outdoor furniture designed to provide utmost comfort. Place it next to a sofa or upholstered chairs and let yourself drift away to your personal oasis. 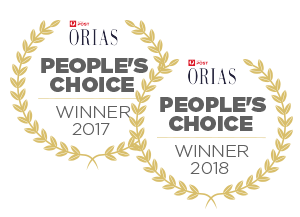 It comes with thick clear tempered glass, providing generous support for drinks, books, magazines and many other small items while you relax enjoying the outdoors. Made to last with a heavy-duty steel frame, you can set up the London Rattan Coffee Table in a range of different configurations. 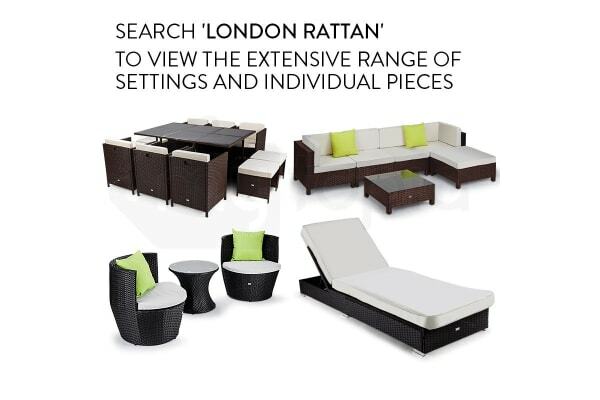 Combine it with other compatible London Rattan products to create U-shape, L-shape and many other set ups. 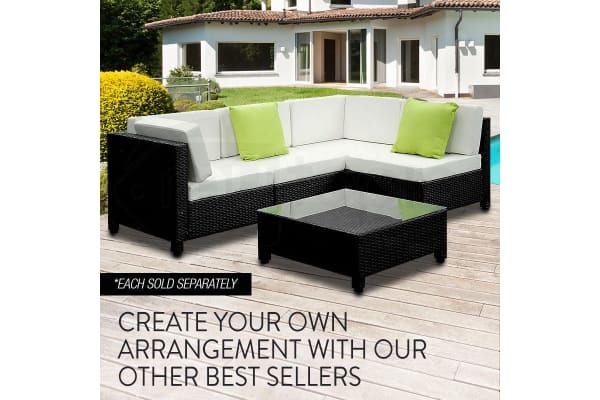 This is the perfect addition to any outdoor area – Order your own London Rattan Coffee Table today!